Most people believe cats purr when they are content or happy, end of story. While cats do purr when they are content, researchers attempting to uncover the answer to this 3,000-year-old mystery are finding the answer more complicated – and fascinating - than an expression of happiness. All domestic cats purr, as do many wild cats, and purring occurs in a variety of situations. When cats purr in the presence of other unknown cats or kittens, the behavior may serve as a friendly greeting or to convey submissiveness. While it’s true that cats purr contentedly while on their pet parent’s lap, they also purr when they give birth, when they are frightened or even injured. Because kitties clearly cannot be content in all these situations, contentment or friendliness cannot be the only reason they purr. So why else would they purr? Natural selection tells us that a particular behavior or trait will persist through multiple generations only if it aids survival. For purring to exist in both domestic and wild cats, there must be something vital about the behavior. Purring is created by the vibration of the cat’s larynx and diaphragm, and therefore requires an expense of energy. If a kitty is sick, surely they wouldn’t burn calories unless it resulted in some sort of benefit, right? We're all familiar with the expression “cats have nine lives”. Similarly, veterinarians have an old saying that if you put a cat who has broken bones in a room with other cats, the breaks will heal. In fact, cats are amazing self-healers: they have fewer post-operative complications than dogs, have a lower incidence of bone and joint disease than dogs, and 90% of cats survive high-rise falls! What could account for this remarkable set of facts, and is it related to purring? In fact, there’s striking evidence that purring has healing properties. Researchers have found that vibrations in the frequency range between 25-50 hertz promote bone strength, stimulate healing of fractures, provide pain relief and help heal tendons and muscles. Bioacoustic researchers studied the purring of dozens of both domestic and wild cats, paying particular attention to frequency, pitch, loudness and duration of purring in relation to the cat’s behavior. Guess what they found? The purring is in the range of 25-50 Hz, the exact range associated with healing properties such as increased bone density! Maybe this has something to do with a cat’s uncanny ability to heal. And just maybe purring is part of the reason why, when we fall ill, having a cat sit on our laps can actually make us feel better! Whether it is simply the comfort of having a friend nearby, or the vibrational frequencies of your kitty’s rumble, the joy of a cat purring on your lap is priceless. Rubin C, McLeod K. Promotion of bony in growth by frequency specific, low amplitude mechanical strains. Clinical Orthopedics and Related Research, 289, 165-174, 1994. Elizabeth von Muggenthaler The felid purr: A healing mechanism? Proceedings from the 12th International Conference on Low Frequency Noise and Vibration and its Control. Bristol, UK, September 18-20, 2006. Chen et al, The Effects of Frequency of Mechanical Vibration on Experimental Fracture Healing. Chinese Journal of Surgery, 32 (4), 217-219, 1994. Leduc A, Lievens P, Dewald J. The influence of multidirectional vibrations on wound healing and on regeneration of blood and lymph vessels. Lymphology, 14(4), 179-85, 1981. Rothschild BM, Rothschild C, Woods RJ. Inflammatory arthritis in large cats: an expanded spectrum of spondyloarthropathy. J Zoo Wildl Med. 1998 Sep;29(3):279-84. Garman R, Gaudette G, Donahue LR, Rubin C, Judex S. Low-level accelerations applied in the absence of weight bearing can enhance trabecular bone formation. J of Orthop Res. 2007 Jun;25(6):732-40. Lundeberg TC. Vibratory stimulation for the alleviation of chronic pain. Acta Physiol Scand Suppl. 1983;523:1-51. Most believe cats purr when they are content or happy, end of story. But researchers are finding the real reason much more complicated – and fascinating! People who wonder whether the glass is half empty or half full miss the point. The glass is refillable. Just in the nick of time for St. Paddy’s Day, we’ve created the perfect way to tantalize your taste buds and nourish your body. With just five ingredients, whipping up a batch of this green goodness is super easy. Best of all, this delightful pick-me-up features two of our signature supplements. Chocolate Plant Protein is a delicious, grain-free blend of clean proteins sourced from pea, chia, pumpkin, hemp and quinoa. Greens Blend mixes raw, certified-organic grasses and mushrooms to provide an excellent source of iron, B vitamins, phytonutrients and antioxidants. This recipe is so jam-packed with nutrients, you’ll be dancing a jig in a jiff! May the wind always be at your back, the luck of the Irish be with you and your cup full of Emerald Mocha Latte. Sláinte! Blend until ingredients are completely mixed. For an extra decadent serving, top off your latte with a dollop of whipped cream! 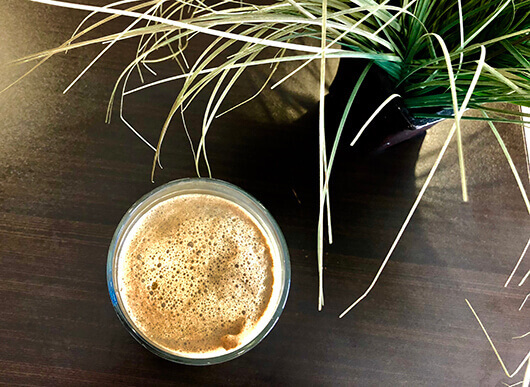 In honor of St. Patrick’s Day, we're revealing an amazingly simple latte recipe that will help you perk up and obtain vital nutrition. Updated 3-22-18: Something is very wrong in America’s food safety apparatus. Recently, numerous pet food companies have issued recalls for products containing Salmonella, Listeria and even Pentobarbital, a drug used almost exclusively to euthanize dogs, cats and horses. Not only can these contaminants result in pets contracting a serious illness, possibly even a fatal one, but in some cases they can lead to serious harm for anyone improperly handling the tainted products. What jumps out from the list of recalls is the high number of raw foods which have become increasingly popular in the last couple of years, not only in the US, but around the world. Unfortunately, by their very nature, raw foods carry an exceptionally high risk of bacterial contamination. In fact, a recent study published in the British Medical Journal by a team of veterinary scientists from The Netherlands cited the dangers associated with feeding raw foods to companion animals. In a broad sampling of raw-food products, investigators found a startling amount of bacteria and parasite contamination. Numerous products contained Salmonella, Listeria, E coli, Toxoplasma gondii or other harmful contaminants that not only pose risks to dogs and cats, but also to the pet parents serving the foods. In the study's summation, researchers did not hold back in their conclusions, saying, "Cats and dogs that eat raw meat diets are also more likely to become infected with antibiotic-resistant bacteria than animals on conventional diets, which could pose a serious risk to both animal health and public health." One company has initiated four recalls since 2016 after receiving multiple complaints from consumers. The FDA and the State of Washington are conducting separate investigations, due to the repeat nature of contaminants and the number of consumers affected. A number of dogs have been gravely sickened and one cat has died as a result of eating these products. 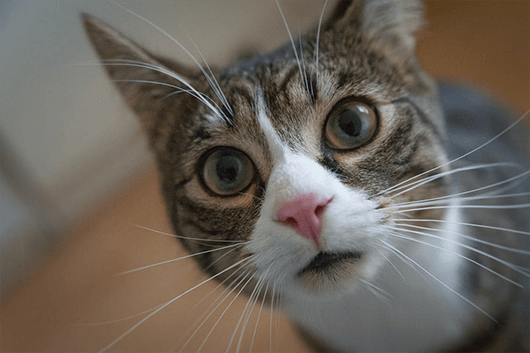 Another company has recalled its frozen raw pet food after reports surfaced of the death of two kittens from Salmonella septicemia, also referred to as blood poisoning. The FDA has launched an investigation, which has already uncovered the presence of both Salmonella and Listeria monocytogenes in samples of that company's Beef products. And these are just two of the raw food producers that have issued recalls. 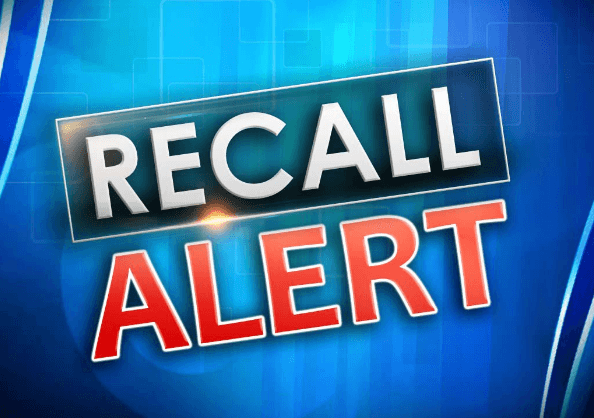 The products recalled are too numerous to include in this post, but we encourage readers to visit the FDA site for full details (link provided below). On February 8th, ABC 7 News (a D.C. affiliate) published a story about their investigation of the actual ingredients in dozens of canned dog food brands. What they found was genuinely disturbing. In all, 31 different foods tested positive for Pentobarbital. Most of the foods were produced by one company, The J.M. Smucker Co. The company first denied the reports, then issued a "withdrawal notice" asking retailers to return defective products. The FDA launched an investigation and the company finally issued a recall. Consumption of a pentobarbital-laced food can cause dogs to suffer drowsiness, dizziness, excitement, loss of balance, nausea, inability to stand, nystagmus (jerking movement of the eyes), even coma or death. Needless to say, if you believe your pet is suffering from such problems, please contact your veterinarian right away. A Class Action lawsuit has been brought against Big Heart Brands, a subsidiary of Smuckers. To learn more about the Class Action, visit the link provided in the citations below, especially if your dog has consumed any of the recalled products. 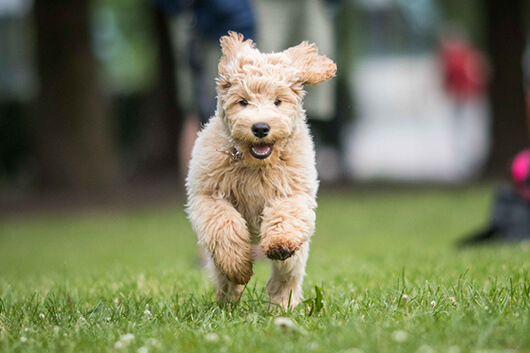 If you're looking for a brand that puts the needs and wellbeing of companion animals before profits, we invite to you check out our health-promoting line of products for dogs and cats. We don't sell anything we wouldn't feed our own pets, who we treat like family. We only work with thoroughly vetted and trusted manufacturers and suppliers who provide top-notch ingredients. Our pet foods are made in small, frequent batches and go directly to our five warehouses where they are carefully boxed and shipped to customers. We've never had a recall, but we have a procedure in place that would allow us to contact every single consumer of our products directly (either by phone or by email) if there's an issue. At Life’s Abundance, we not only make premium products but we also ensure that we deliver premium products. March 19, 2018: With all of the additional regulations put in place over the last ten years, pet food safety is still a problem. According to a follow-up story on March 19 by ABC7, they were able to purchase cans of dog food recalled due to pentobarbital contamination. Something is very wrong in America’s food safety apparatus. Recently, numerous pet food companies have issued recalls for products containing Salmonella, Listeria and even Pentobarbital. Read the details now.